This company stole my money and I caution you if you are considering doing business with them. I purchased this module based on what they advertised for compatibility and it was not accurate. when I asked for a refund (due to their false advertising) they gave me the run around. It has been almost 1 month and still nothing. BUYER BEWARE. Love these modules! The support is fantastic and all emails and issues were handled promptly. I would highly recommend OnyakTech products as they are a great value for the money. I have not been able to make this work right yet. I've tried to contact the developer by phone several times and nobody answers. Their website has a link to on-line chat and nobody is ever there. I have entered tech support requests. I did receive a message that said that I download a newer version but I do not know where to access it and left another message to that effect on the ticket. I asked for a refund a couple days ago and have not received an answer. I would not buy anything from them again. I've been using OnyakTech for about eight years now, and the various components in this suite just keep on improving year after year. Excellent value for money. Some modules require a little advanced knowledge but no matter what you're tying to do ... there is likely a module in this package that can do it. This in a must-have module if you regularly communicate with you members. Frequent enhancements and very good support. i use this product extensively on my companies intranet to display sql table data. it allows me to quickly setup a data view with no hassles with just a SELECT statemetn plus it has extensive data filter capabilities. i can even create buttons on each row to access another URL and pass that rows credentials to further filter other data grids of data. This module, an all the others from Onyatech are outstanding. I'm using most of them for an intranet of over 500 employees and they have made an incredible difference in what I can deliver to this client. The tech support has been tremendous - most issues are handled real time of within one day. Clearly some of the best products out there for DNN. I gave this 1 star, because that is the lowest allowed. I purchased the top level license available for this product back in March: the full source license. Since then, I tried to install it for our client. Since then, we had numerous issues, from install through actual attempted use. We had some intermittent correspondence with the developer on the issues, ranging from the module not installing, to not consistently sending emails. Frustrated, the client scrapped the module and went to MailChimp. We have since tried to salvage our investment by using the module on our own site, but continue to have problems. Again, I have reached out to the developer through their online support system (ironically, also their own product). Sometimes I get a response within a day. Sometimes several days, and additional emails prompting a response, go by before I receive a response. Then, the response is often, "you need to be on the latest version," which is not available to me. So, I have turned here to request a refund, since this module is clearly defective and has not worked as advertised since purchased, nor has any legitimate attempt been made by the developer to make it work. If we need our DNN site to have automated, scheduled system emails and alerts to go out to members, this is the go-to module for that functionality. When we want to do automated system email messages that go out on a scheduled and variable/logic basis, Axon is our top choice. How the DNN devs sat down with an object oriented language to make a web based CMS and overlooked the fact that we users will want to create HTML content and easily deploy references to it is a complete mystery to me. All I can say is IT'S ABOUT TIME! Thanks for filling this major void. You know I am a new customer but with the service I have been getting from Onyaktech makes me feel like I have been their customer for years. I asked that they make a few modificiations and within a week it was done and working the way I asked. The price was awesome and the communication was even better. If you ask for something just be patient, they have a lot going on and can't do everything at once. Thanks A LOT! This stuff isn't always for the rank beginner, but it does what it says and the subscription has heavy value added for the serious / involved site. Install was easy. Setup very straight forward and the documentation was very helpful. Support was very quick to respond to my questions. The product is exactly what we were looking for. Great Module! I came to snowcovered looking for a tool to replace my paid email list services. Axon seemed to be what I was looking for, but upon discussions with the developer, it was not the case. But since Axon had 90% of the other features I was looking for, I asked the developer if the feature I was requesting could be in a future release. He replied that it could be, and worked with me to develop the feature. I tested and provided feedback, and he fixed issues. Support is prompt and courteous. I would give Axon 10 stars just for the amount of information and help received before the sale. We are now using the other features to send our newsletter and event announcements. We can see who is reading our emails and finally kissed our paid list services goodbye! What a great tool! I have been using Onyaktech Modules for a year and they update their modules regularly with new innovative changes. The help desk has been responsive and when I have needed help and they were easy to contact. I like OnyakTech modules so much that I purchased another year of updates and support. I have been using DNN for 8 years and after purchasing OnyakTech modules for DNN I would rank them in the best that I have purchased. Great module, and excellent support from author. We wanted to be able to print mailing labels. We needed an easy way to export selected user data from the DNN database. Data Viewer works perfectly and the price is great! I find these modules difficult to use. Great support, great stuff. Love the functionality AND the looks of the user interface. What a great product for the money. So much functionality and so many different modules for the price. So far I have not had to contact support for any assistance ans the documentation included is very comprehensive. I would urge anyone serious about getting their most out of their DNN site to invest in this. Worth it's weight in gold. Nice module and exellent support. Initially I was very confused with their website navigation but the new onyatech design brings life to its site as well as for customers. Great module and GREAT SUPPORT. Excellent Modules!!! Excellent Service!!! Prompt Reply to questions!!! All you could ask for in a Quality Software Provider. And the value is 2nd to none. I wish there was a positive option in the rankings! This is a good product, any problems that we may have had originally with Onyak Tech was due to miscommunications. I could not even imagine not having a subscription to OnyakTech. By far the best and most useful module you can find. I cannot live without Sigma Pro (Project Manager, Issue Tracker, etc), Sigma Live (real-time online support chat module), and LinkNex. This is a must have for any serious DNN admin. 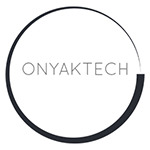 All OnyakTech products are top notch, very well executed, excellent support. If you are a notch above a novice but not quite a developer, this suite / subscription is an essential tool. The price for the complete subscription is a fraction or its' value. Money well invested. Very good suite of tools. The project management tools is very useful. They have excelent doucmentation and provide updates/fix. Could you tell me a little more about the Portal Directory that is included with the Sigma Plus package? Is that a directory of child portals?